The METSTRADE show is the world’s largest trade exhibition of equipment, materials and systems for the international marine leisure industry. It is organised by RAI Amsterdam in association with ICOMIA (International Council of Marine Industry Associations). 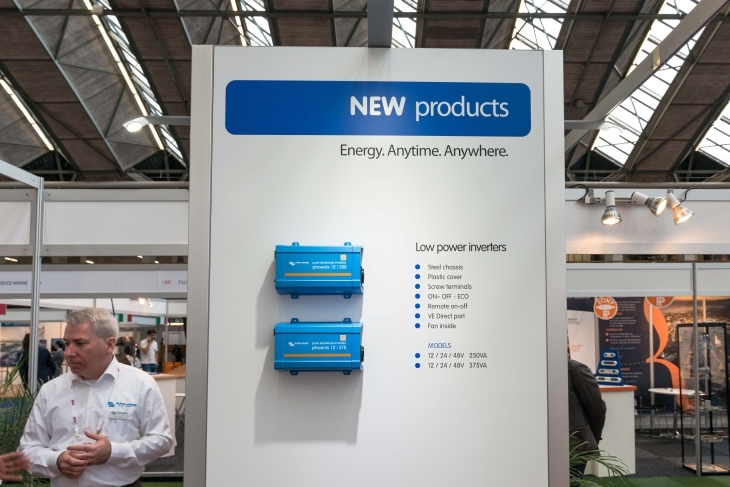 The show has already been running for two days where a range of new Victron Energy products are on display. For those of you in the Amsterdam area the last day of the show is today, Thursday 19th November. 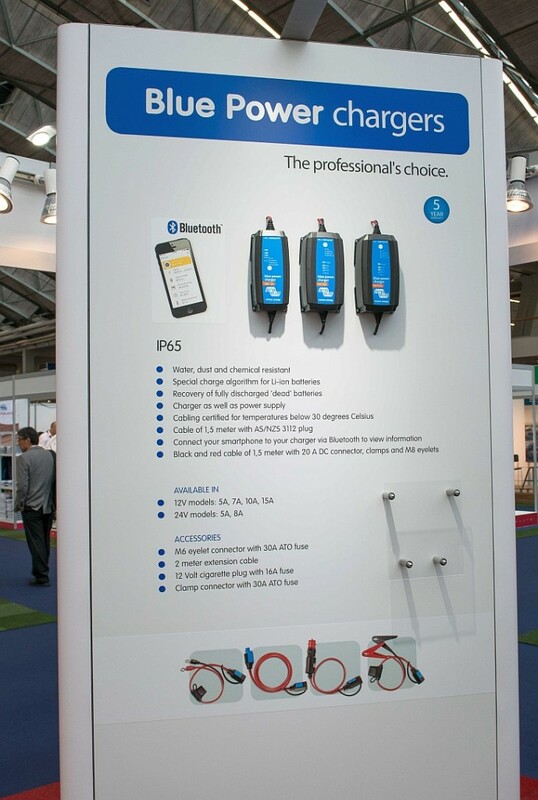 If you can’t make it here’s a taster of some of the new products on display which include a new Skylla IP65 charger for instance, not to mention even more exciting new products in the pipeline. Important note: The products referred to in this blog are new and are currently only being shown at the METSTRADE show. Please keep an eye on the Victron Energy Price list for their expected availability. Shown in the headline image above are a new range of Low Power Inverters in 12 / 24 / 48V 250VA and 12 / 24 / 48V 375VA sizes. Blue Power IP65 charger with Bluetooth! Connect to these new Bluetooth enabled chargers with the VictronConnect app. 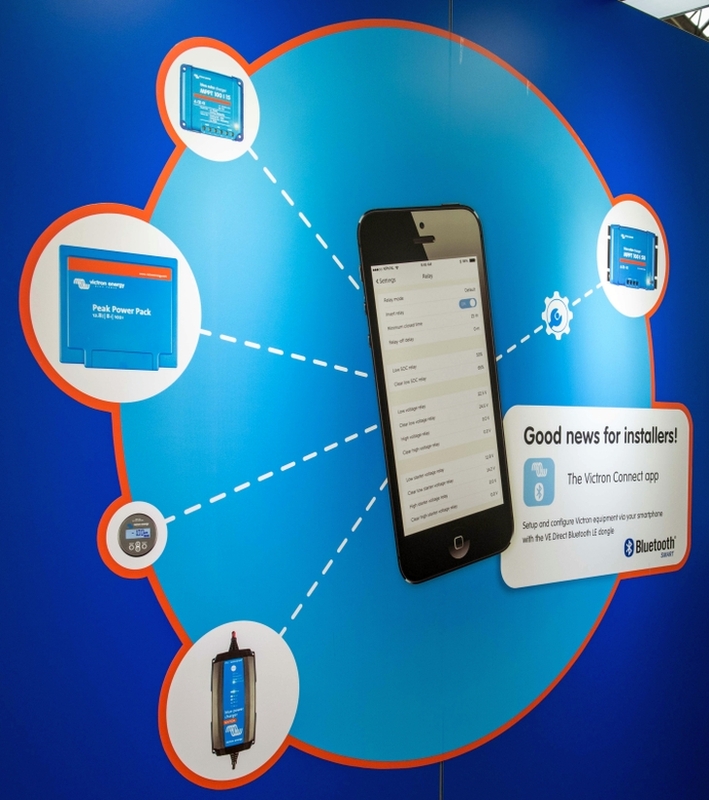 As you can see in the image below, it’s not just the new Blue Power chargers that can be connected via Bluetooth with the VictronConnect app. 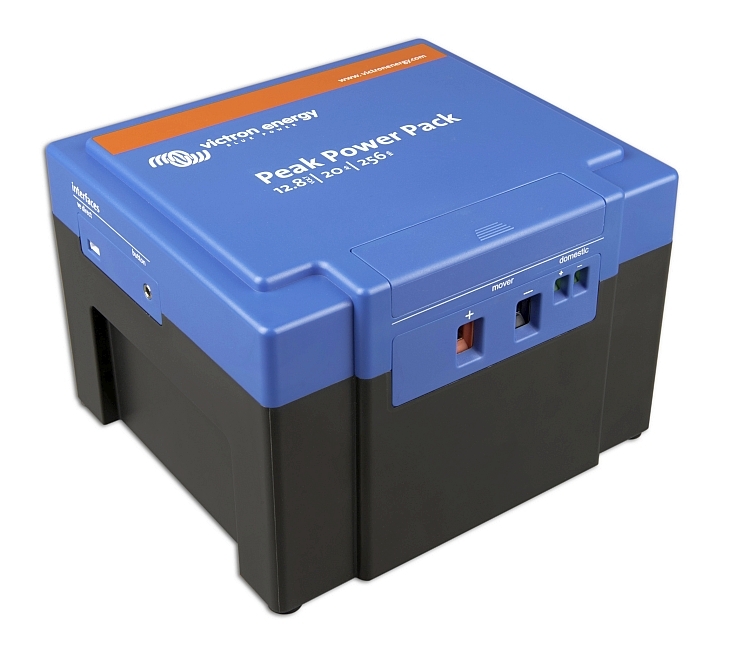 Shown below is one of the new range of 12.8 Volt Peak Power Packs, which come in 8 / 20 / 30 and 40 Ah sizes, which can also be connected to via Bluetooth with the VictronConnect App and the VE.Direct to Bluetooth Low Energy dongle. Not a new product as such – but it has taken 40 years of Victron Energy business before these could be baked! 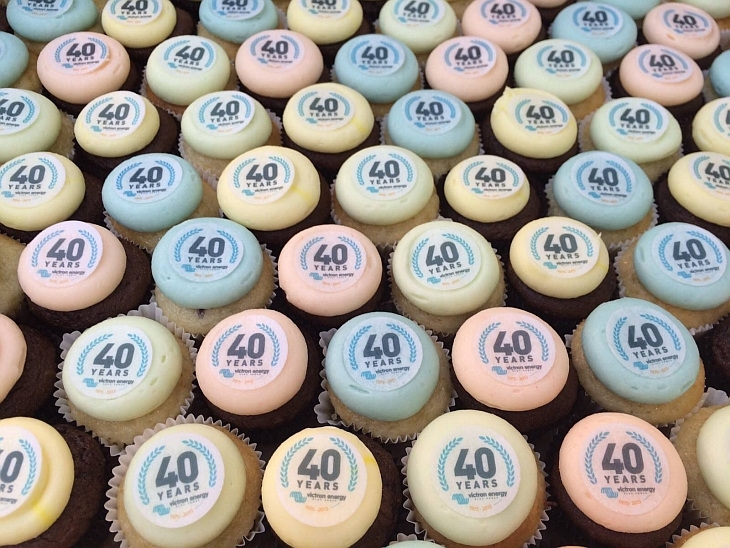 If you do make it along to the show there might be some left…or not!